"Developing An Ozark Green Thumb"
Ken Forman -- "The Natural State -- Naturally"
Limited Seating – register early! 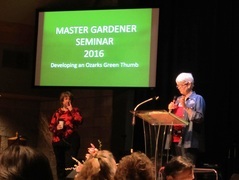 Baxter County Master Gardeners are looking forward to the 25th “Developing an Ozark Green Thumb” spring gardening seminar. In 2019 we are really celebrating, as it is the 25th Anniversary for the Mater Gardeners in Baxter County. 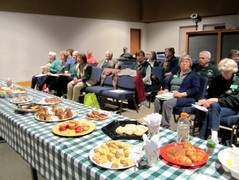 The seminars have become an area tradition with one presented each spring since 1994. Speakers have come from all over Arkansas and the surrounding area to share their expertise and experience to help hundreds of attendees learn more about their gardens. We have presented programs on flowers, herbs, vegetables, trees, soil, compost and even the insects, birds and critters who share our Ozark home. 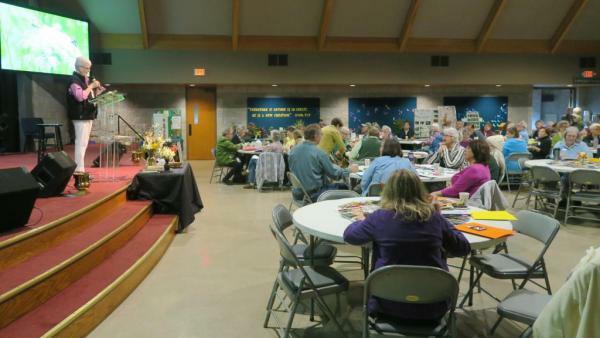 The First United Methodist Church Fellowship Center is the venue for our gardening seminar. There will be a topic for everyone, and timely to boot. We may also have some new ideas to make the seminar even more interesting. There will be a horticultural table, displays of the BCMG Community Garden Projects, an information table with our County Extension Agent Mark Keaton and more information on becoming a Master Gardener. 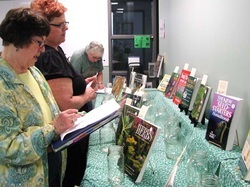 We always feature an “opportunity table” full of gardening books and other garden related items. 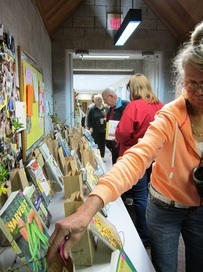 There will be free catalogs and plenty of garden information to take home and use in your garden. Seating is limited for the seminar, so be sure to register early. The fee includes lunch. Please continue to check this website for updated information on the Seminar and other future BCMG events. The First United Methodist Church, 605 W. 6th St., is on the corner of Hwy. 178 W. and Bucher Dr., Mountain Home, AR 72653.